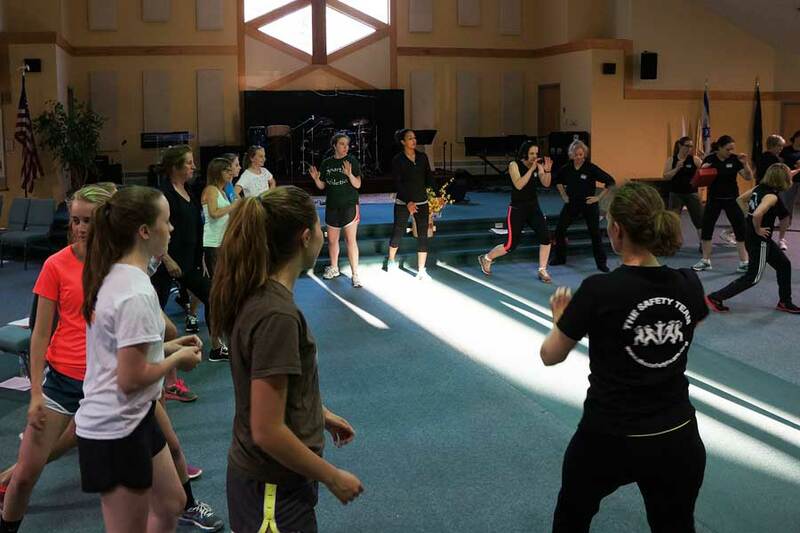 Our Women’s Self-Defense Programs are designed to help women develop a comprehensive plan for personal protection without sacrificing personal freedom. Over two thousand Vermont women were survivors of violent crimes in the year 2010 alone (Vermont Criminal Information Center). Empower yourself and take charge of your safety! Our trainings combine simple, powerful, and effective verbal, tactical, and physical self-defense skills to help keep you safe. 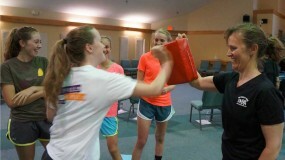 The Safety Team’s workshops are based upon real-life scenarios and are taught by highly qualified female instructors. The skills are easy to learn and remember. No prior experience is necessary and exertion is light to moderate. We conduct trainings on high school and college campuses, as well as at corporate sites and other locations convenient to participants. Contact us at Christine@TheSafetyTeam.org for more information or to schedule a visit from the Safety Team. We’d love to hear from you!